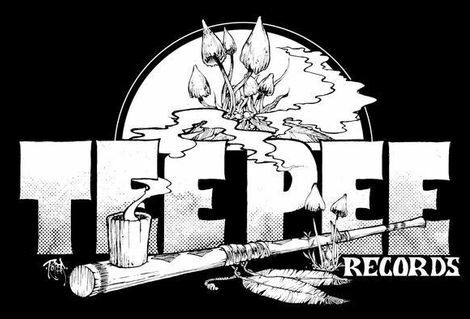 In the first of Getintothis‘ journey to the centre of a label we reveal our love affair with Teepee Records, home to pirates, mystics and wizards who all share a common bond of getting chonged. A midnight ramble during this year’s Glastonbury festival took me and my cohorts to the lavishly decorated teepee field where I found a family welcoming fellow revellers into their faux-native American Indian dwelling. It was somewhat baffling to discover that these primitive conical huts had cost £1,650 to hire for the weekend, but upon closer inspection it was clear why. Decked out in thick, warm, waterproof cloth they provided ample comfort for a large group, complete with cooking devices, room for blow-up beds, and, should the mood take you, floor space for a riotous game of twister. In a nutshell the teepee’s were Worthy Farm’s equivalent of the Hilton; spectacular, lavish and temporary home to the elite. Hardly what Geronimo or Sitting Bull were used to. Indeed, the irony of these luxurious pads wasn’t lost on me when thinking about fiercesomely independent record label Teepee. Based in New York’s Bowery Street, Teepee is hardly home to the rich and famous, rather a diverse collection of ragtag musical misfits who specialise in out-rock designed to alter the mind; musicians that dispense with polish, image and shiny production in favour of innovative artistry whose primarily goal is to explore a new world of mind-expanding sonics. Reluctant leaders and uber-chiefs of Team Teepee are the Brian Jonestown Massacre. Led by the charismatic and confrontational Anton Newcombe, the BJM sprung to international notoriety thanks to Ondi Timoner’s warts-n-all documentary DiG! which chartered the rollercoaster ride of the frequently erratic and often sensational Newcombe and his assorted players as they battled for recognition in the face of adversity and their tangled relationship with contemporaries The Dandy Warhols. But let’s cut to the chase, most of you know this (if you don’t, hang your head in shame and seek it out now) – and there’s so much more to the BJM than this glorious piece of celluloid. The Jonestown’s infamy may concern their onstage fights but Newcombe’s vision has never wavered; he’s all about the music – a music which transcends space, time and categorical constraints. Fusing the spirit and psychedelia of the 60s with a limitless supply of futuristic avant-rock and wonderment, Newcombe’s ultimate asset is his fearless, and unstinting approach to creation. He won’t compromise or set limits. Nine LPs, two EPs and an assortment of collections and rarities in little over a decade exemplifies Newcombe and his ever changing group’s thirst for work and productivity. Had they not been shackled by inter-band tensions and industry constraints you can bet Anton’s catalogue would put the likes of Prince to shame. 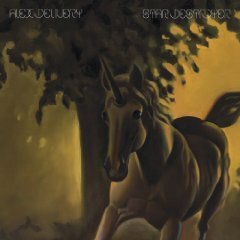 It’s vital to understanding the BJM that by becoming a follower and supporter of Newcombe’s Committee To Keeping Music Evil, you understand that with every release comes both the glory and pitfalls of their existence; thus even their ‘best of’ Tepid contains a fair welter of duffers among the brilliance. Their influences and influence is equally immeasurable. Anton revels in the classics of The Byrds, Beatles, Stones, Indian sitar grooves, Nugget psyche and heroin-assisted Velvets and Spaceman 3. But by the same token his influence has created a cult of copyists and scenes while former BJM members have formed Black Rebel Motorcycle Club, The Warlocks, Dead Meadow and The Out Crowd. My personal favourite BJM record is 1997’s Give It Back! 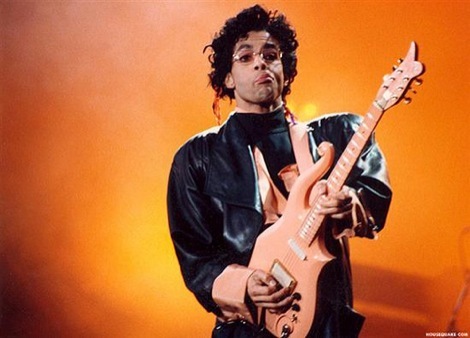 which includes classics in the shape of the blistering Super-Sonic, the Donovan-esque Servo and the regular set opener Whoever You Are; a rampant train crash of riffs and pounding drums. Contrastingly, the record also contains enough pastiche (…Before I Am Gone) and goofy cheeky (Not If You Were The Last Dandy On Earth) to give the record an altogether throwaway charm. Yet with so many ideas up his caftan sleeves you’re content to sit back and enjoy the unpredictable, chaotic ride. 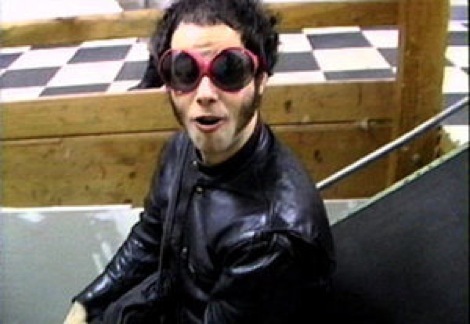 The last time the BJM toured the UK, in April 2006, Newcombe and his now cemented line-up, which still features iconic tambourine player and perma-sideburn sporting Joel Gion, combined a tight professionalism with an exciting, propulsive dynamic unit. The highlight of their Liverpool gig culminated in Anton extending the performance past the curfew with a captivating drum and bass feedback-drenched jam. A true one-off – and one which shouldn’t be missed when they return to the city on Thursday. Few records have come out in 2007 like Titan’s A Raining Sun…. Rooted in the metal sludge of early Black Sabbath, Brooklyn’s Titan combine the relentless mellotron-assisted rock of early prog masters with the driving beats of kraut to synthesise a record which sounds utterly now, but steeped in history. 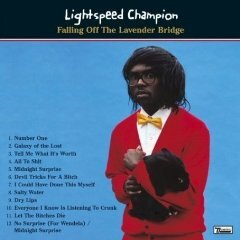 Just four tracks, all weighing in at around the 10-minute mark, give the record a loose, jam-like feel. The untitled opener begins with quivering medieval sounding vocals and lamenting acoustics before a distorted chasm of sound fuses richly textured guitars and shuddering drums. Key to all this is the monstrously funky mellotron which charts the playing and ushers away any signs of tedium. 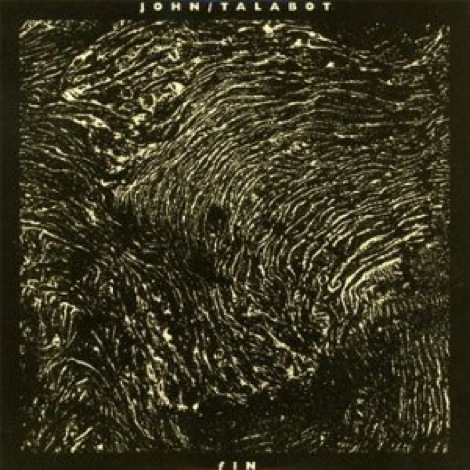 Best of all is the final cut, and one which deviates most away from any Comets on Fire soundalike, as Titan lay down a propulsive beat, gurgling cyberspace synths peppered with nifty drumming and a warming glow that Spiritualized would be keen to replicate. If journeys to the centre of the cosmos are your idea of fun, then let Titan enrich your soul. Charting a similar galaxy, is Ekranoplan. 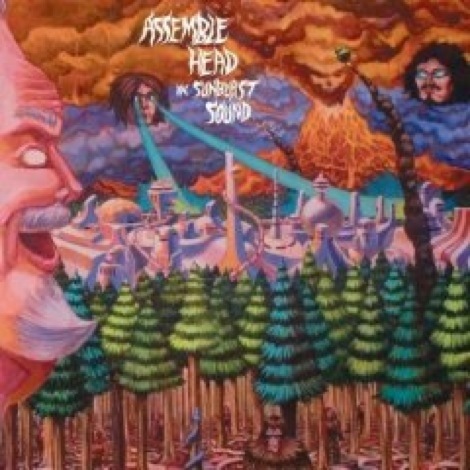 A record which again employs the sludgy, stoner rock of Titan, but where the latter’s sound is largely improvised freeform, Assemble’s melds Comets On Fire’s bluster with Eastern rhythms and the cloudbursting space-rock of Ashra Tempel. Check Rudy on the Corner‘s acid-fried psyche or the sky-diced chops on D-Brown. Better still is The Chocolate Maiden’s Misty Summer Morning; a track that owes as much to Zeppelin’s Kashmir to the sitar breaks of Ravi Shankar. The mid-paced Summon The Vardig provides a gentle relief with clean guitars trading with soothing organ, a feat repeated on the closing beatific Gemini 9. Similar to all Teepee products it’s also a joy to take in the great artwork. In this case band members zap weapons of mass destruction from their eyes on to alien villages as yeti-like monsters patrol the snake-infested woods; like the music, quite what it all means is a mystery but it’s a pleasure to behold. If Titan prove too forward thinking with their improvisational motorik beats then let Earthless take you to a music that time forgot – a dimension where the drum is a tub-thumping beast and the guitars so loud the God’s reach from the heavens in a vein attempting to flick the volume down a touch. 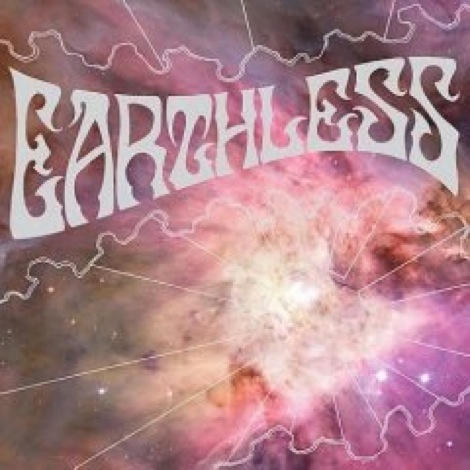 Rivalling the Mars Volta in terms of contemporary ambition but rooted in a more retro rock sensibility ala Deep Purple or Golden Earring, Earthless are one of Teepee’s most exciting new acquisitions. Formed in San Diego by former Rocket from the Crypt drummer Mario Rubalcaba, …Cosmic Sky is essentially a three-track titanic jam with the first two tracks each weighing in at over 20 minutes a piece, while the third is a cover of the Groundhogs’ Cherry Red. Built round towering riffs the five suite Godspeed kicks things off with a squall of distortion which builds into a Sabbath-like drone as Rubulcaba and bassist Mike Eginton provide a dense layer of filth while Tim Green’s organ aims for the moon. Sonic Prayer takes the form of a preposterous guitar solo when on 13.32 Rubalcaba’s hefty stick might comes to the fore amid wah-wah histrionics. It’s an astounding ear-bender. There’s simply no record like Dopesmoker. 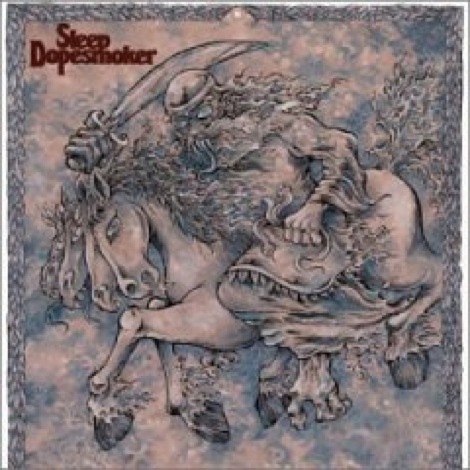 Where Sunn O))) have cornered the ambient doom-metal scene, Sleep drove a 50-foot spliff through the heart of the stoner rock court with the release of this record in 1998. Released under the name Jerusalem to unanimous critical acclaim, Dopesmoker is re-released in an alternative form, under the hilariously tagged ‘heavier mix’ format. It’s hard to imagine anything sounding more skull-crushingly zonked out than this. This one-track juggernaut of a record clocks in at OVER AN HOUR with chord changes dropping in every five minutes making even the sludge-stonerisms of Pelican look positively heart-stopping. Eight minutes in and Al Cisneros declares Sleep’s modus operandi, ‘Drop out of life with bong in hand, follow the smoke to the riff-filled land, Proceeds the Weedian – Nazareth’… As if you hadn’t guessed already what their chief concern is. From the shaman summoning the four-headed horse and snake-tongued warlock gracing Dopesmoker’s cover to the chugging, utterly relentless bass and drum gloop, Sleep are uncompromising in their dept and devotion to da ‘erb. While there is plenty of doomy, almost non-music passages, you shouldn’t be fooled into thinking this is a band on autopilot, recorded in one-take there’s plenty to soak up. Thirty minutes in Matt Pike’s (now of High on Fire) guitars drop and Chris Hakius’ drums take over, ten minutes later and Pike’s shredding the fretboard amid more syrupy bass. 43 minutes, everything is chillingly still before another tidal wave of noise demolishes the speakers. This is quite simply a must-hear record by the quintessential Lords of Stoner Rock. 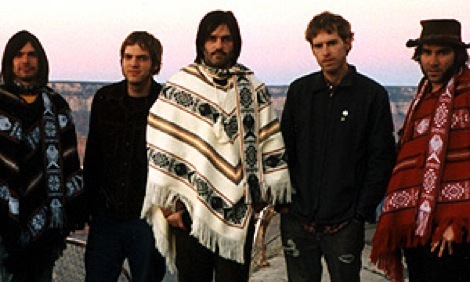 Discounting EP We Are The Radio, The BJM’s last long-player emerged in 2003, and it exemplifies the very essence of Anton’s vision; ramshackle folk, psychedelic rock and most of all beautiful classic rock vying for centre stage in a tangled web of styles and hazy production. Here To Go is a whacked out haze of romanticism, Prozac Vs. Heroin is an acoustic hippy love-in and Geezers throws a horn, organ and chorus from a divine cult into the mix. Best of all is the barnstorming stomp of When Joker’s Attackwhich sees the 12-string Rickenbacker assault of Frankie Teardrop’s guitar intertwine with Newcombe’s ghostly atmospherics and smoky drawl. 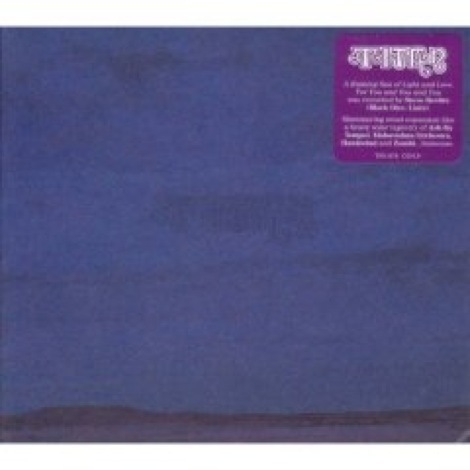 The brilliantly-named You Look Great When I’m F*cked Up is a meditative slice of Mexicana and piano-driven space rock, like Ennio Morricone fusing Spiritualized; Newcombe knows his references points and he’s unashamedly tipping his cowboy hat firmly in their direction as yet again the BJM produced a captivating piece of ragged glory. 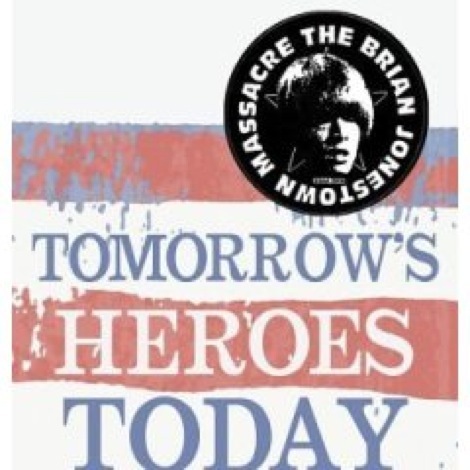 The Brian Jonestown Massacre play Liverpool Academy on Thursday July 12, 7pm. £11. Next Article What ever happened to my rock & roll?